Megatron’s back… and CYBERTRON will never be the same. Everything BUMBLEBEE and his AUTOBOTS have built teeters at the edge of collapse-and STARSCREAM has to make the choice his whole life has been leading to. And meet the new PROWL-deadlier than ever, colder then any other AUTOBOT, and ready to end the DECEPTICON threat. can someone explain to me "Regeneration 0" I have read all the way up to Regeneration 91 so what is "0"? 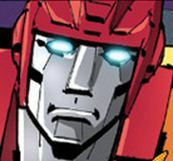 I'm guessing the issue potentially has a reference to the events of MTMTE #20 and #21. Thus, why RiD couldn't be released earlier. "I wish I could believe that…." Aaaaaaand still no RID#21??????? Wow! As always, courtesy of D-Drive. Shipping next week are…. Megatron's back… and CYBERTRON will never be the same. Everything BUMBLEBEE and his AUTOBOTS have built teeters at the edge of collapse-and STARSCREAM has to make the choice his whole life has been leading to. And meet the new PROWL-deadlier than ever, colder then any other AUTOBOT, and ready to end the DECEPTICON threat. Also shipping is Beast Hunters Commanders Wave 4 (Huffer, Green Optimus Prime) and Voyager Wave 4 (Sharkticon Megatron). With one more week left in the month to be revealed, will we see a MTMTE, RID, and Beast Hunters release all in the same week?